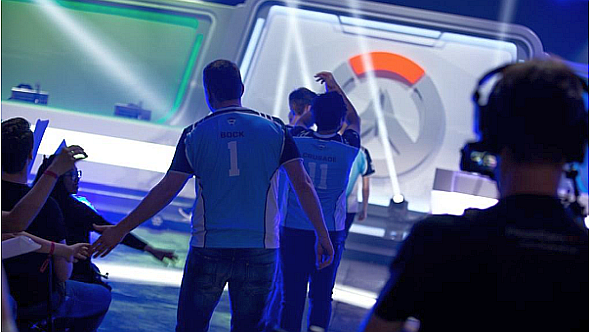 British Hurricane – the academy team of London Spitfire, one of the Overwatch League’s heavyweights – have triumphed in season one of Overwatch Contenders, at least around the Atlantic. Hurricane won the European league in a nail-biting final against Team Gigantti on Sunday night, before going on to beat Fusion University, winners of the North American league, in the Atlantic showdown. Competitive type? Many of the best multiplayer games on PC have thriving esports scenes. Overwatch Contenders Europe wrapped up at Alvernia Planet in Poland, and the best-of-seven series went right down to the wire, with Hurricane finally triumphing 4-3 to take a $30,000 prize. The newly-crowned European champions then saw off Fusion University 3-1 in the best-of-five Atlantic Showdown (Fusion University had defeated Toronto Esports in the Contenders North America finals). Overwatch Contenders is to the Overwatch League as the UK Premier League is to the first division – it’s a high-level series for aspiring esports stars to compete and, perhaps one day, ascend to Overwatch’s leading esports competition. Speaking of which, if you’d like to learn more about its structure and membership, here’s our Overwatch League guide. For more on Overwatch Contenders, head here.